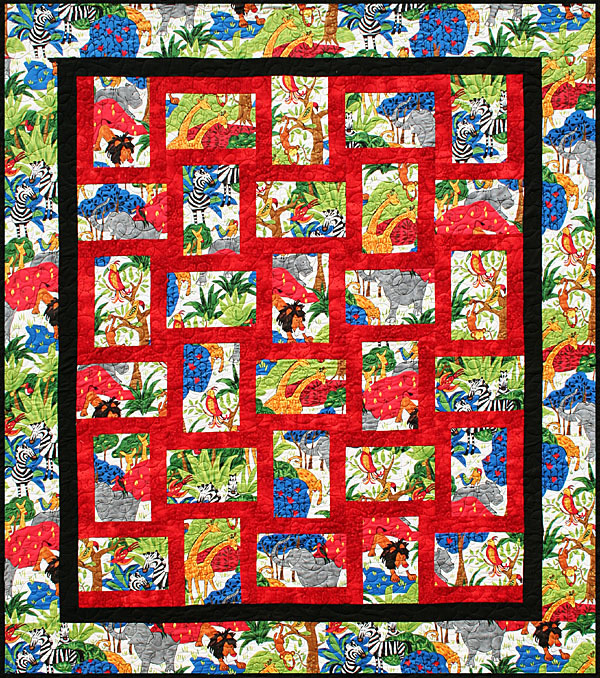 The Safari fabric is what truly completes this quilt! We have this fabric in the bundle for you - it is no longer in print. 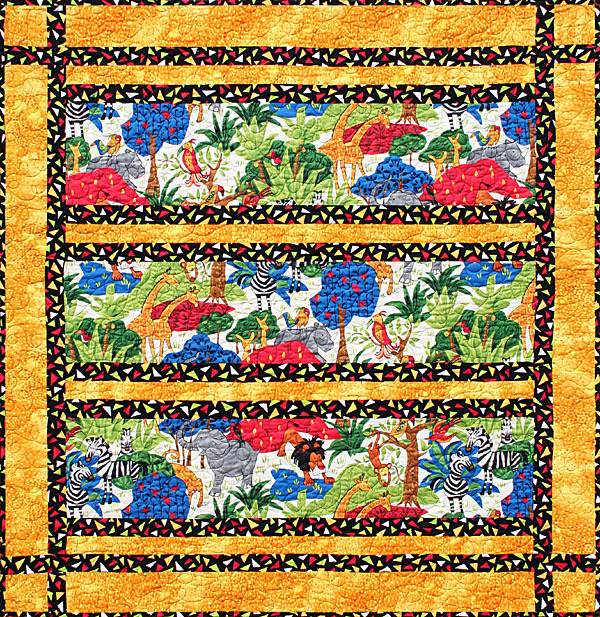 Bundle includes Pattern and Pre-cut border fabric for beautiful "no seam" borders. 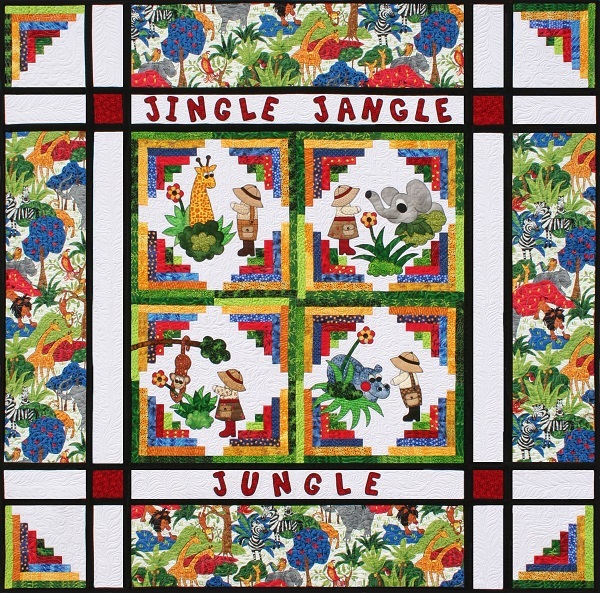 Size 68 1/2" X 68 1/2"
Our Jingle Jangle Jungle pattern trio includes full size applique patterns, reversed for fusible applique method. Scroll down to see two coordinating quilts! You get all three patterns for one price. 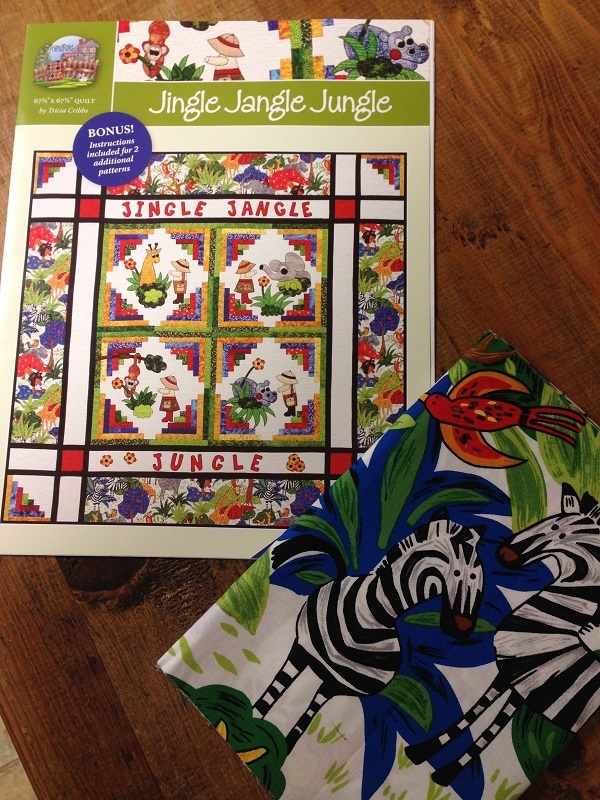 Tricia′s instructions are beginner friendly & piecing these quilts is step-by-step EASY!